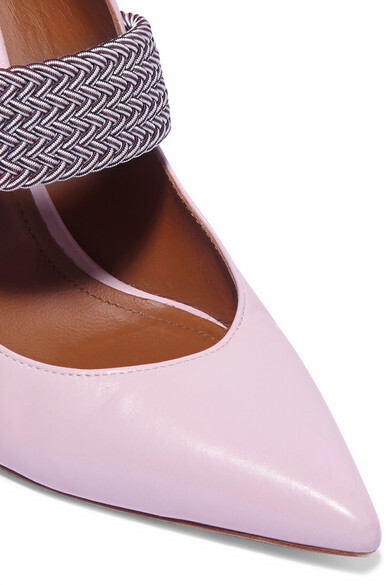 Malone Souliers' 'Mara' mules have been handmade in Italy from smooth baby-pink leather and have a thick cord strap that's also elasticated for comfort. The freshest way to style them is with an unexpected print - like snake or leopard. Shown here with: Helmut Lang Top, Attico Skirt, REJINA PYO Bucket bag, Hillier Bartley Earring, Alighieri Necklace, 1064 Studio Ring.